third parties to collect and process data, such as Google Analytics. This may include parties that store data outside of Australia. By providing us with personal information, you consent to the disclosure of your personal information to third parties who reside outside Australia and acknowledge that we are not required to ensure that those third parties comply with Australian privacy laws. 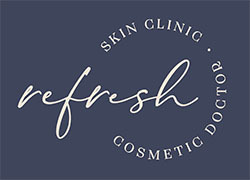 Refresh Skin Clinic specialises in the promotion of excellence in skin care and non-surgical rejuvenation procedures such as anti-wrinkle treatments, dermal filler, hair reduction and skin boosting treatments.